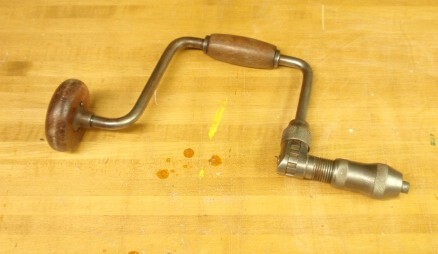 The bit brace is an old tool. They are depicted in woodcuts from the middle ages. They are a C-shaped device which holds various bits at the working end. 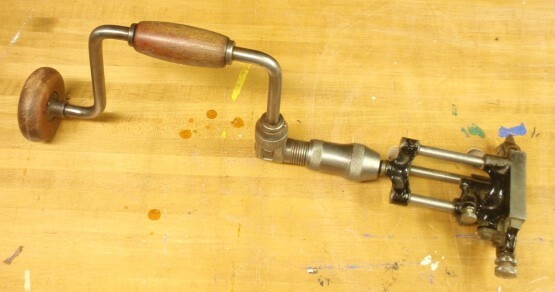 One holds the end with the round handle in one hand (usually one’s non-dominant hand) and grasps the middle with the other hand and rotates the tool. 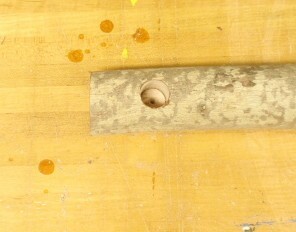 To drill a hole one uses the bit brace with a auger (or drill) bit. To drive a screw, one can insert a screw driver bit into the bit brace. 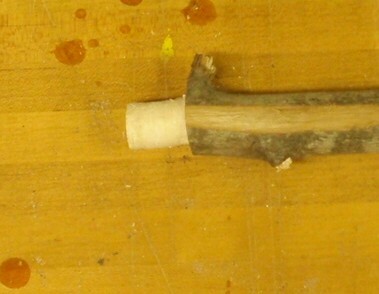 And coolest of all (at least to me) to make a tenon, one uses a hollow auger (or tenon cutter). Because most of the mortise and tenon joints are one of two sizes in any given piece of furniture, I have two bit braces set up with those two size drill bits. I adjust the size to the piece, but most pieces have larger and smaller holes (of course, some may only require one size.) I then set my two hollow augers to match the augers. I could use one bit brace, swap bits, and adjust one hollow auger. But having dedicated braces speeds things up, and more importantly improves the accuracy (adjusting the size of the hollow augers is tricky.) Bit braces are very easy to find in used tool shops. If you are ever in Waltham, Mass stop by the Tool Shed at 471 Main Street (Rte 20). They have tons of used tools at very reasonable prices. If you are ever anywhere near Liberty, Maine, you have to check out Liberty Tool. With three floors crammed floor to ceiling , it is one of the most amazing used tool stores I have ever seen. Very nice site. Some times electric drils just don’t fit the bill .